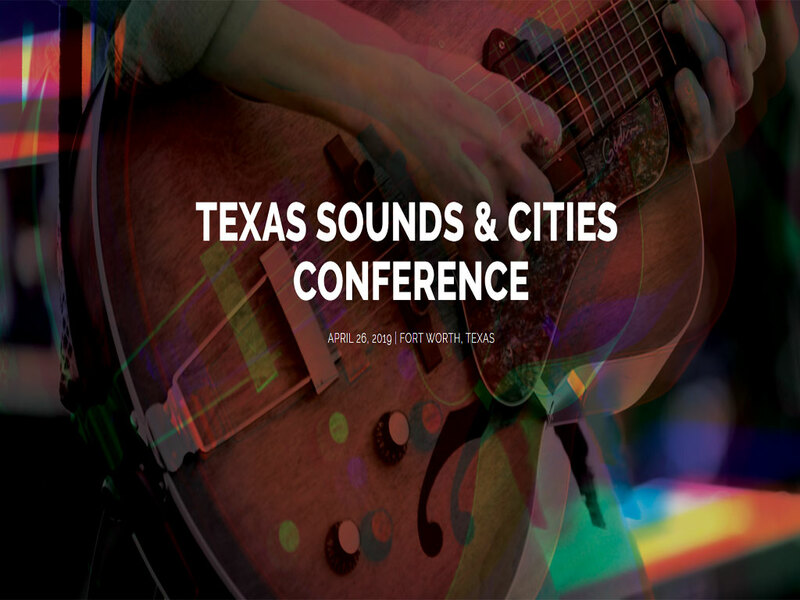 TEXAS SOUNDS & CITIES is a one-day conference filled with live music, conversation and collaboration to keep our great state’s music scene moving forward. Join Visit Fort Worth and the Office of the Governor's Texas Music Office for a one-day conference about promoting music in our communities. Keep our great state’s music scene growing. Whether you’re in tourism or economic development, a musician, educator or music-lover, we hope to see you there! This conference is ideal for communities interested in becoming music-friendly certified by the State of Texas and others wanting to work more closely with musicians and the local music eco-system. Hear from industry experts from Sound Diplomacy, the Texas Music Office and many more. 11:45 AM - Austin: Live Music Capital of the World. Learn from the individuals & orgs who are at the forefront of marketing Austin. 3:15 PM - Making Places for Music: Learn how cities are getting creative and creating community spaces for live music.